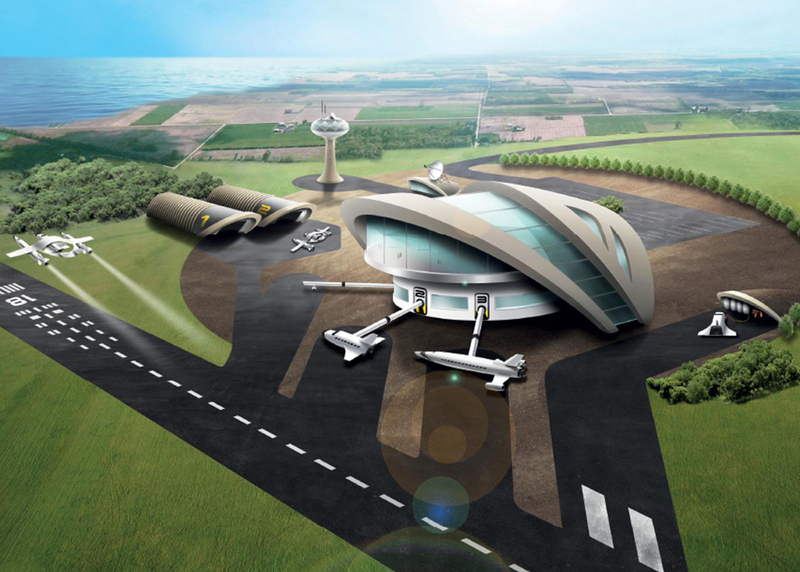 The UK's first commercial spaceports could be developed with the introduction of the Modern Transport Bill, revealed during the Queen's Speech today. The Modern Transport Bill proposed by the UK government aims to "put Britain at the forefront of the modern transport revolution" by enabling the development of the nation's first commercial spaceports. The bill would also set out new laws to prepare the UK for driverless vehicles including cars and spaceplanes, and put in place safe-usage rules for both commercial and personal drones following a number of collisions. The new legislation was announced by the Queen during her annual address at the State Opening of Parliament earlier today. "My ministers will ensure the United Kingdom is at the forefront of technology for new forms of transport, including autonomous and electric vehicles," said the Queen. New insurance options for passengers of autonomous vehicles are also proposed by the government, which claims driverless transportation could ease congestion, as well as boosting the UK's economy through export of the technology. Trials of driverless cars are currently taking place across the UK under the supervision of test drivers, but the bill could pave the way for fully automated road tests. The Modern Transport Bill also aims to allow the UK to tap into the drone industry, which the government estimates as having a global worth of $4 billion (£2.74 billion) but foresees that this figure could rise to $414 billion (£283.36 billion) within a decade. The last few months have brought major developments in drone technology, with Chinese manufacturer Ehang unveiling the world's first passenger-carrying drone and online retailer Amazon announcing the trail of self-piloted delivery drones. The UK's Civil Aviation Authority has already shortlisted a number of potential locations of spaceports, including Campbeltown, Glasgow Prestwick and Stornoway in Scotland, Newquay in England and Llanbedr in Wales. UK architecture firm Foster + Partners, founded by Norman Foster, was behind to design of the first Virgin Galactic commercial spaceport in New Mexico, after winning a competition for the project in 2007. The bill will need to pass through several readings in the UK's House of Commons and House of Lords, with opportunities to put forward amendments, before its various proposals can be passed into law. Other legislation put forward in the Queen's Speech included a Neighbourhood Planning and Infrastructure Bill to speed up housing developments, and a Digital Economy Bill that aims to provide every UK household with broadband internet.